Suffering from a digestion problem? "Osi came into my life during a very turbulent time. 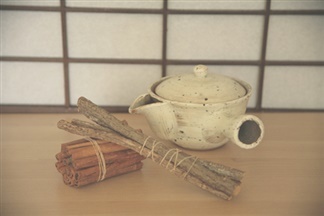 I was suffering from awful stomach aches, digestive and colon problems. Never having done acupuncture before, I took a chance and found one of the best people in Tel Aviv, who not only laughed along with me while she was sticking needles in (weird reaction!) she helped me sort out my thoughts and my stomach issues. She is one of the most caring, thoughtful and down to earth people I know, and happens to be absolutely wonderful at what she does. I miss my weekly sessions and can only hope that I find someone as good as Osi in my new location; someone with amazing bedside manor, full of good advice, and gentle with the needles!" 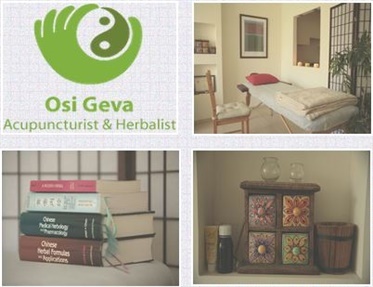 "Osi has been a healing and supportive holistic healer in my life. I moved to Israel one year ago and suffered a lot of digestive complications and anxiety and she has cared for my wellbeing through her compassionate treatments and caring soul. Now I don't have to be on medications thanks to her extensive knowledge." I recently moved to Israel in January, 2014 and within months tore my shoulder. I had been in pain 24/7 even with naproxen 500 twice a day, Paracetemol, Tramadol, excellent medical marijuana and an excellent analgesic. All this did very little for my pain. After 7 months I truly wanted to end my existence because the doctors here just want to give me horrible drugs. As a result, my stomach has also been upset from all the crap, my digestive tract out of balance and searching online for at least some stomach relief, I called Osi and set an appointment on Friday, September 5, 2014. That night I felt ok, still in pain, and went to sleep (another thing the pain prevents). I woke up Saturday morning, Shabbat – and either God or Osi took away the pain, because I woke up without the pain I’ve been waking up to for 7 months now. Truly shocked, I didn’t move from my condo, didn’t take the drugs I normally take, and went pain free all Saturday. Why? The only difference was Osi. Sunday, I went back to work after 2 weeks of sick leave, worked all day, half the medication I’d been taking for months, and felt great. Today is Thursday, had another session with Osi, have not taken any drugs, it’s 2PM, I’m at work and I have a smile on my face. A great week so far! Truly a miracle. If she were catholic, I’d put her in for Sainthood!